When Lucy learns that daughter Chris and Mr. Mooney's son, Ted Mooney are going steady, she overreacts and gets Mr. Mooney to help her use reverse psychology to break them up. They start planning their kids' wedding. Chris figures out her mother's scheme, and teaches her a lesson. The teens pretend they're planning to elope. Camped out in the boys' tree house, Lucy and Mr. Mooney hold an all-night vigil to catch the pair when they try to sneak away. Special Notes: Eddie Applegate is busy on The Patty Duke Show (1963-66), so his part as Mr. Mooney's teenage son is given to Michael J. Pollard. Pollard will never be used again on The Lucy Show. 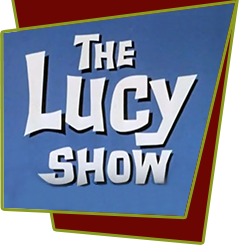 The entire scene with Lucy and Mr. Mooney in the tree house will be reused more than twenty years later, in the 1986 Life With Lucy episode, Lucy and Curtis are Up a Tree (unaired).